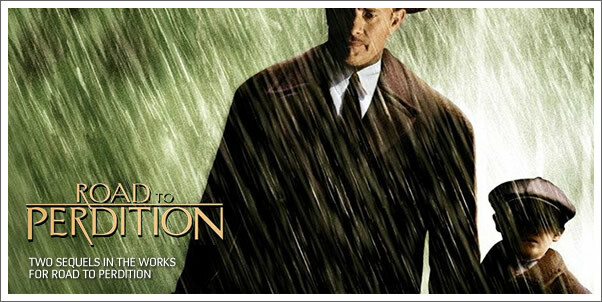 Cinematical reports that two sequels are in the works for the great (that's right, "great") film ROAD TO PERDITION. Admittedly, my gut reaction to this news was that sequels for this film will be a bad idea. They will only ruin what was a perfectly told story. As I read through the article though, my thoughts changed. If they can get Sam Mendes back to direct, these could be good. Titles may be ROAD TO PURGATORY and ROAD TO PARADISE. I like it. Of course, if the tone of these follow ups is the same to the original, then it is a must that composer THOMAS NEWMAN return as well.